February 4th is World Cancer Day. 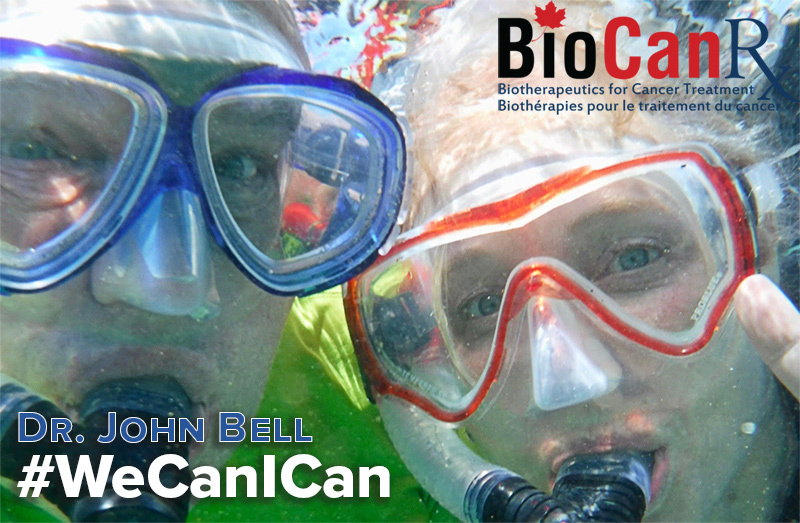 BioCanRx is proud to join in this global effort to unite the world’s population in the fight against cancer. This disease touches all of us, or will. Cancer is one of the biggest health challenges facing Canadians: 2 in every 5 of us will face a cancer diagnosis in our lifetime. Cancer remains the leading cause of death in Canada. By raising awareness and education about the disease, and pressing governments and individuals around the world to take action, World Cancer Day aims to save millions of preventable deaths each year. But one day in isolation won’t do it. We need to work collectively, and as individuals, to make a difference. Together we can beat cancer sooner. Through our network, along with our partners, we are discovering new ways to enable the body’s own defence mechanisms to outsmart and kill cancer. We are accelerating to the clinic Canada’s most promising and innovative cancer biotherapeutics designed to save lives and enable a better quality of life. We invest in Canadian innovations and the best the field has to offer, always looking for a clear path to the clinic for the benefit of patients. BioCanRx partners with industry, the not-for-profit sector, and other agencies to translate immune-based technologies from the lab into early phase clinical trials. Our research program also addresses socio-economic considerations and incorporates the patient perspective. In addition, we’re working to develop and attract the talent needed for a thriving health biotechnology and biomanufacturing sector in Canada. The World Cancer Day theme – “We can. I can.” – is a perfect fit with our mission. At BioCanRx we collaborate and build research teams to deliver better results. On February 4th, I hope we can all make a difference through volunteering, supporting a charity, posting on social media or taking part in events to raise awareness. When we all play our part and work together, we will have a far greater impact in bringing less toxic and more effective treatments sooner to cancer patients. Together #WeCanICan make a difference.